$15.00 Gift Card On Orders $100.00 and Over! Home>$15.00 Gift Card On Orders $100.00 and Over! To get a $15.00 Gift Card On All Qualifying Orders! 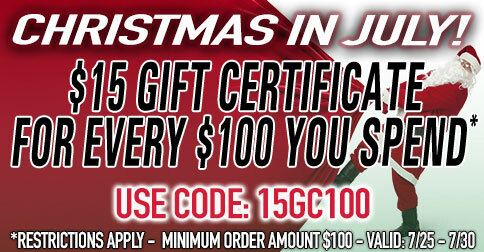 For every $100.00 you spend you get back $15.00 as store credit on a gift certificate. *Coupons can not be combined or used any other special offers, discounting, or coupons. In order to be eligible for this offer you must spend a minimum of $100.00. Per $15.00 back. *15GC100 coupon code valid until 07/30/18 at 10:00pm est!